The Dominion Foundation has approved a second grant for West Virginia Northern Community College, this time for the institution’s new Petroleum Technology program that trains workers for the growing oil and gas industry in the state. 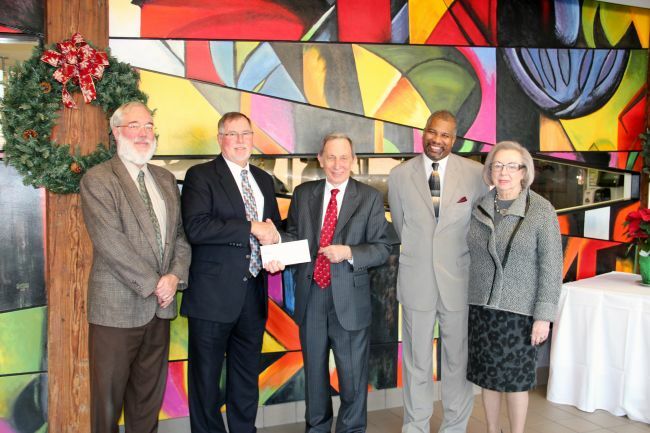 It was announced today Northern is receiving $25,000 from Dominion for the purchase of equipment for Petroleum Technology classes that are being taught in the college’s recently opened Applied Technology Center on Market Street at the downtown Wheeling campus. Slightly more than a year ago, Dominion Foundation granted $50,000 to Northern for purchase of a simulator used in the Mechatronics program that trains electrical and mechanical maintenance technicians. Mechatronics is offered at both the Wheeling and Weirton campuses of West Virginia Northern and provides skills needed in work associated with development of the area’s Marcellus Shale resources. In May of this year, Northern became one of two community colleges in West Virginia to offer Petroleum Technology. Northern and Pierpont Community and Technical College have joint programs that utilize the Appalachian Petroleum Technology Training Center in Fairmont. The center was the result of collaboration between higher education institutions and the oil and gas industry. Pierpont and WVNCC will be equipped with indoor drilling simulators for Petroleum Technology students while collaborative training will be available on the outdoor drilling simulator located at the center in Fairmont. The Dominion Foundation is the philanthropic arm of Dominion Resources and is dedicated to improving the physical, social and economic well being of the communities served by Dominion companies. Dominion and the Foundation annually award more than $20 million to causes that protect the environment, promote education and help meet basic human needs. For more information about Dominion, one of the nation’s largest producers and transporters of energy, visit www.dom.com. For more information about WVNCC’s technology programs, click on www.wvncc.edu.